There had been a significant amount of time between the release of Paramore's fourth record (their self-titled) and After Laughter. After touring for nearly three years in support of Paramore, including a massive co-headlining arena tour with Fall Out Boy, the members of Paramore stayed relatively silent. Their sound had already begun to undergo a metamorphosis on the self-titled record as they veered away from the aggro-pop-punk sound that defined their career on records like Riot! After Laughter is the sound of progression, of a band stepping out of their comfort zone and not being defined by any genre-confining expectations. The album's lead single and first track, "Hard Times" only provides fans with a taste of what's to come, as the band trades distorted guitar riffs for new wave-tinged licks and 80s-influenced melodies. 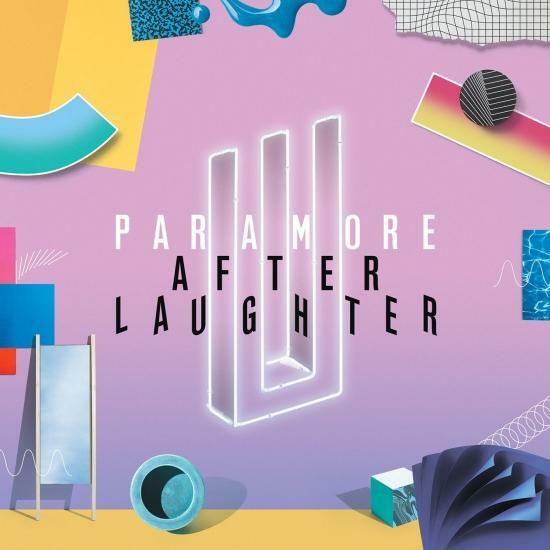 Vocalist Hayley Williams sings of the feelings of depression that have plagued her throughout the years, making these songs as heartfelt and honest as you can get in alternative music today ("All that I want/is to wake up fine/tell me that I'm alright/that I ain't gonna die"). "Rose-Colored Boy" is straight out of the new wave era, while "Told You So" takes this same style and reinforces it with a modern flair. "Forgiveness" is a smooth indie track with summertime vibes. The central theme of the record, however, lies within the fifth track, "Fake Happy". "So I've been doing a good job of makin' 'em think/I'm quite alright, better hope I don't blink/You see it's easy when I'm stomping on a beat/But no one sees me when I crawl back underneath" gives an insight into the mind of Ms. Williams, and how fame and fortune truly doesn't equate to peace of mind. It's a revolving theme in the record, where Williams is addressing how things aren't always what they seem, how fame isn't the great fixer that everyone on the outside believes it to be. It paints a human picture of a band that is revered to be "perfect" by so many, and the toll it takes on people who are considered idols in an industry built by worship and fierce content consumers. "Fake Happy" leads into the acoustic-driven "26", complete with a classical instrument accompaniment that almost makes it sound like it comes straight out of an animated Disney film. "Pool" brings the energy back up with a bouncy, indie-rock feel that reflects on the past, while the summertime-ready "Grudges" is all about moving forward. The simplicity of the guitar riff against the drums in "Caught In The Middle" accentuates the words that Williams croons through the microphone about the crossroads between giving up and moving forward. Williams gives one her most powerful vocal performances on "Idle Worship", a track that combines the subtlety of indie with the aggression of rock as it takes on the concept of idol worship in pop culture. ("Hey, baby I'm not your superhuman/And if that's what you want/I hate to let you down"). The outlier of the record is "No Friend", an almost completely instrumental track that doesn't feature Williams, but does include spoken word verses throughout from MewithoutYou's lead vocalist Aaron Weiss. It's a chaotic track that ramps up the energy and tone of the album before concluding with the powerful ballad "Tell Me How". It evokes a piano and vocal line that is more akin to Halsey than anything that's out on Warped Tour at the moment, and it truly shows how Paramore has transcended their peers in the industry as the years have gone by. The album ends not with a grand crescendo, but with calmness, one that Ms. Williams and Co. seem to have desperately been seeking after all of these years. What's exciting about After Laughter is seeing just how much Paramore have grown. The word "matured" is thrown around quite often when referring to a band's musical growth, but it completely rings true in the case of Paramore. Every release is a total metamorphosis, a reflection of their surroundings, their life experiences, and it's exactly the reason why Paramore are such an exciting band to follow, all of these years later.